From Alvechurch you can visit the Black Country Museum, Cadbury's world, Warwick castle, Drayton Manor Theme Park and the Tamworth Snowdome. Black Country Museum - See the historic building brought to life and meet the characters who lived and worked in bygone times, there will be a warm welcome awaiting you at the Bottle and Glass where you can try a traditional pint of Black Country Real Ale. Cadburys World - At the world famous chocolate factory take a tour and see the your favourite chocolate being made, visit the museum and learn the history of chocolate from the Aztec's to present day. Warwick Castle - Be a guest at a house party hosted by Daisy, Countess of Warwick meet Daisy and her friends preparing for their party, visit the dungeons or enter the labyrinth of lost soles. Drayton Manor - Packed with great rides and set in 280 acres of parkland it features some of Europe's wettest and scariest rides including The Shockwave, a stand up roller-coaster, Apocalypse and Pandemonium a ride to turn your world upside down. 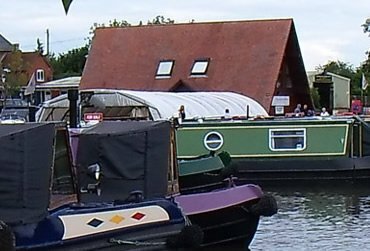 By Road : The marina is on the western edge of the village of Alvechurch, close to the railway station. Exit the M42 at Junction 2 (to Birmingham South, Redditch).Take the A441 towards Birmingham for 1/2 mile. At mini-roundabout take 1st exit (to Alvechurch) for 1 mile. At mini-roundabout go straight on (slightly to left), 2nd exit (to Alvechurch).Pass under the motorway and continue into the village for 1/2 mile, straight across the mini-roundabout. Immediately after the pedestrian traffic lights turn right. Brown marina sign on the left points towards the marina. 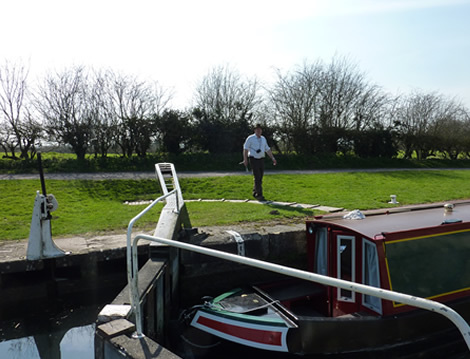 Pass over a double hump-backed bridge (the railway, then the canal) and the marina entrance is 100m on the left. By Rail : From London: Go to London (Euston) station and take the train to Birmingham (New Street) station. On weekdays and Saturdays trains depart every 30 minutes and the journey time is about 90 minutes. At Birmingham (New Street) change trains to the local service to Redditch. This service operates every 30 minutes and journey time is about 40 minutes. Alvechurch is an unmanned station which is the last stop before Redditch. The marina is only about 300 metres from the station. On the road outside the station turn left and go over the railway and canal bridges and we are 100 metres on the left. If you need assistance with luggage when you arrive at Alvechurch station please send one of your party ahead to the marina to request assistance. For information about train timetables and ticket costs for all mainline rail transport please go to www.thetrainline.com. Take the inter-airport coach service to Birmingham International Airport then take a taxi as above. Alternatively, make your way to London (Euston) and take a train as above. 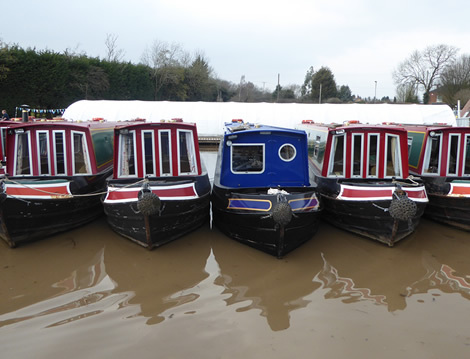 Groceries : A selection of essential provisions is stocked at the marina shop and there is a small convenience store in Alvechurch village (a short walk from the marina). The nearest supermarket is Sainsburys on the A441 at the north edge of Redditch (10 minutes by car). Tescos will deliver (visit www.tesco.com, 0845 6779119).